This is the second article in a series detailing the 684 kilometre Route des Grandes Alpes. A great cyclo-tour through the French Alps, over 16 mountain passes, on a road linking Lake Geneva (Lac Léman) to the Mediterranean Sea. My main goal is to highlight alternate route options and interesting detours. Below, I will explain the map in some detail (or click any point on map for additional info). This is a nicer day than stage 1. 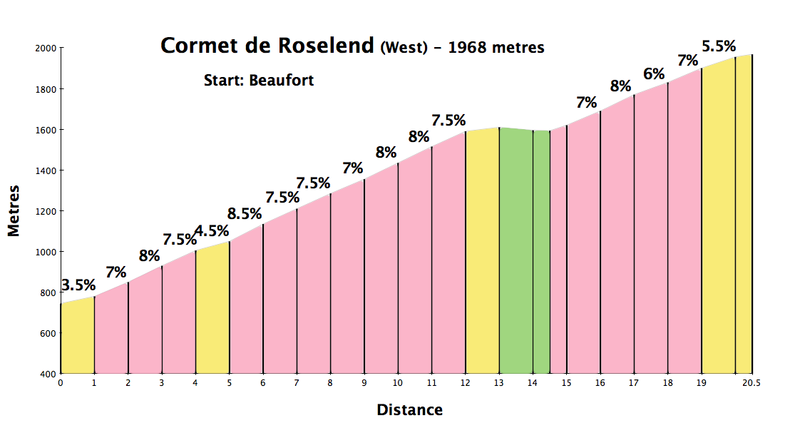 Three climbs of increasing difficulty, finishing with the highlight of the day: the fabulous Cormet de Roselend. 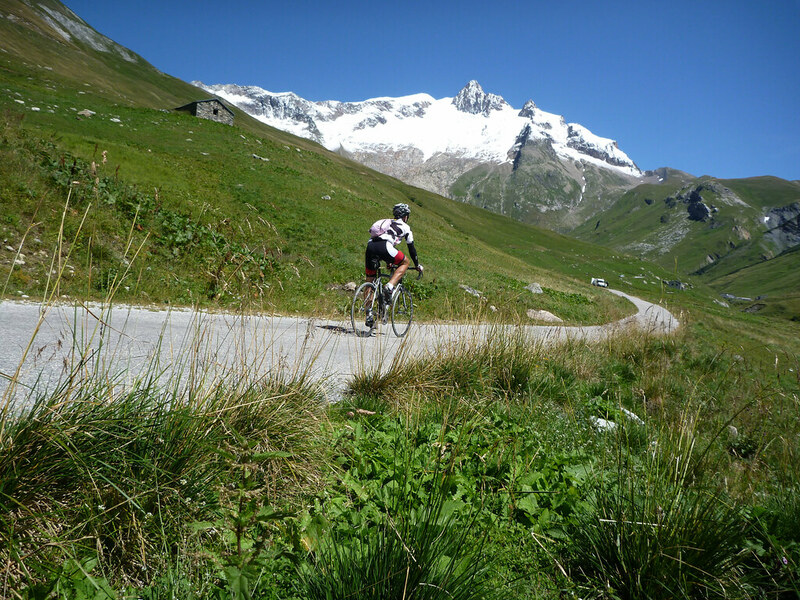 The stage begins with Col des Aravis, not very difficult, but beautiful. Almost reminds me of the Dolomites. 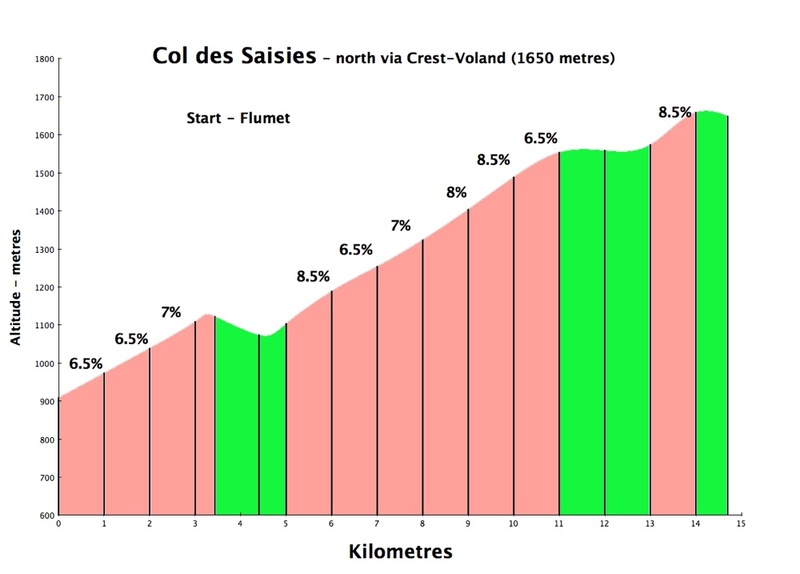 Next, Col des Saisies is a bit tougher, climbing to a small ski station. Keep an eye out for the French/American WW2 monument beside the col. Finally, Cormet de Roselend is one of the more beautiful climbs in the north French Alps, with the route passing the dam and Lac de Roselend on the way up. One of my very favourite roads. The orange line on the top map. This is just an alternate way up Col des Saisies that is much quieter. If cycling on a summer weekend, this will be more peaceful. The green line on the top map. This 5 km detour adds about 350 metres of climb and offers superb views from the summit at 1934 metres. 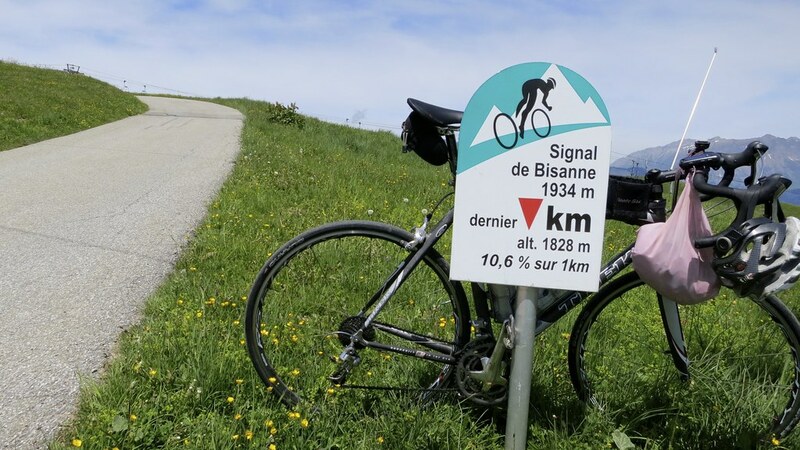 You’ll be hearing more about Signal de Bisanne as it makes its Tour de France debut in 2016. The Tour will climb from the far south side. But the Tour will skip the top, super steep, couple of kilometres. I’ve added them here. 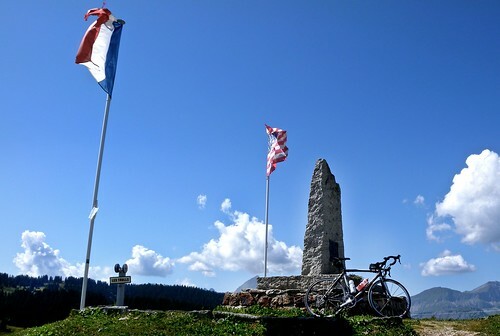 More details on the complete climb to Signal de Bisanne here. The red line on the top map. This is the detour that you must do as it is the superior way to climb the north side of Cormet de Roselend. Starting from Beaufort, the route to Col du Pré splits off into another scenic valley from the main Route des Grandes Alpes. 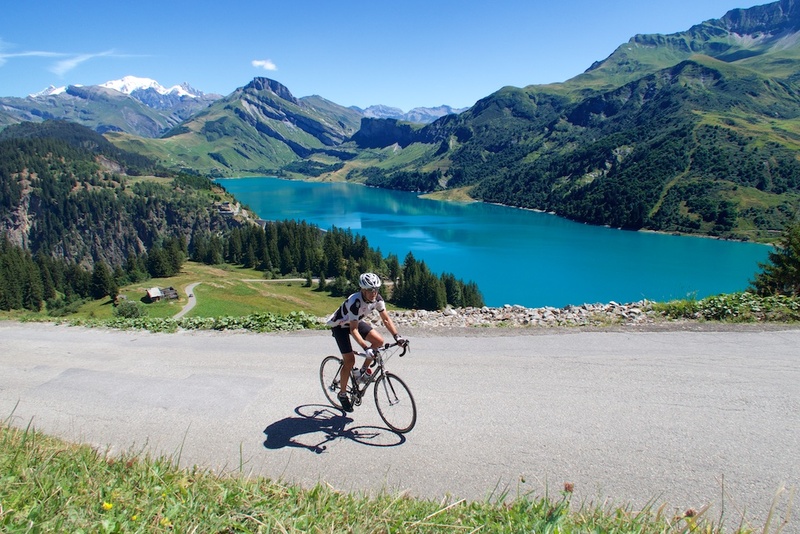 It’s at times a very challenging climb, but the pay-off is some of the best views of Lac de Roselend just after the summit. More details here. The detour adds perhaps only 100 metres extra ascent and has the added bonus of also riding over the dam itself before rejoining the main Route des Grandes Alpes at Col de Meraillet. Very fun. I love rides to high alpine dams/lakes. Here are 28 of my favourite dam rides. If you want a warm-up climb near the start, the not-well-known but lovely (and) steep climb to Col des Annes is a good choice. From Beaufort, the quiet and scenic dead-end road up to Col du Joly (1991 metres) lead to up close views of Mont Blanc. One of the best “secret” climbs in the north French Alps. A quick detour on the road to Col du Pré leads to the dam and Lac du St. Guerin. While descending Cormet du Roselend there is a turn off to La Ville des Glaciers – more Mont Blanc up close views. There is lots of great up-high mountain biking along this route. If interested, drop me a line. For example. 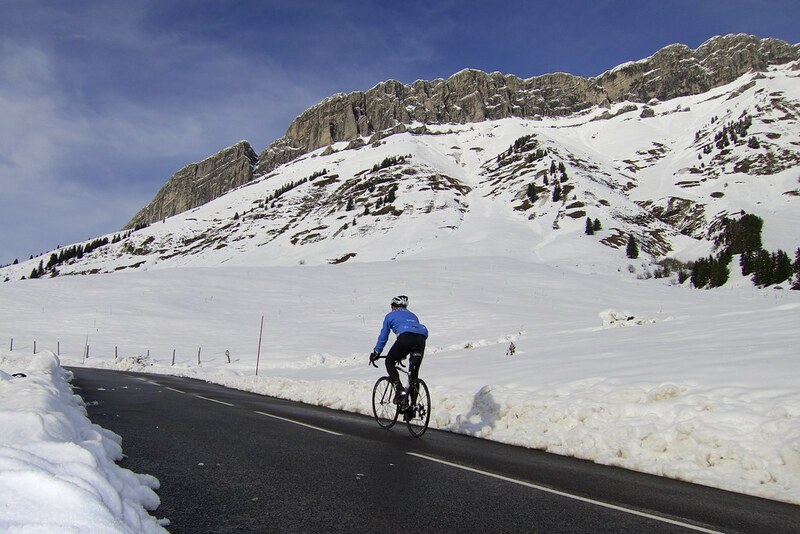 Road Openings: Col des Aravis is open most of the year, although it will closed in deep winter. Col des Saisies is usually open all year (ski station at summit), but Cormet de Roselend is tricky. The north side above the lake is well shaded and gets lots of snow. It often won’t open until the very end of May. It is frankly, very difficult to bypass Roselend. I’d get on a train to the Maurienne valley? Official Savoie Col open/closed map here. 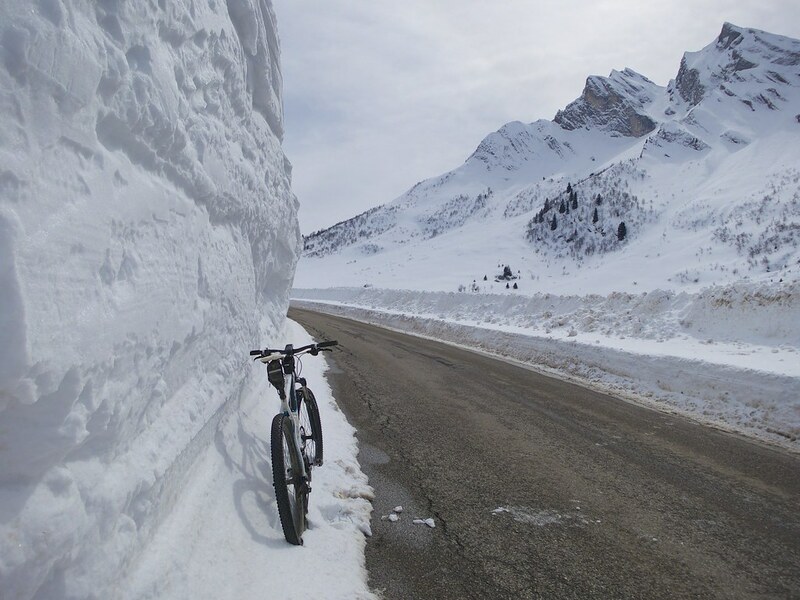 Trust me: Take the Col du Pré detour. 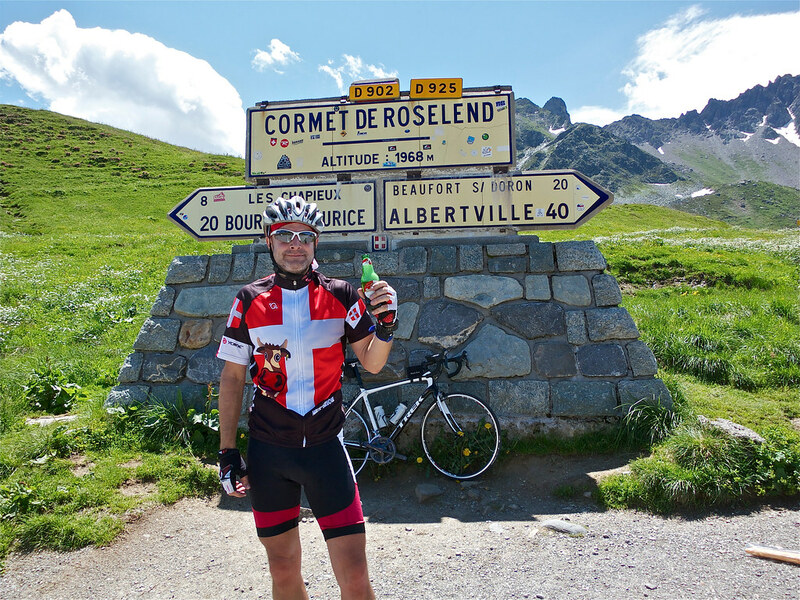 And more good news: There is usually a guy at the summit of Cormet de Roselend selling beer. Cheers. I gotta say I’ve really enjoyed going through your blog, as it’s shown some great routes and pics, but is also a bit of an inspiration for me. 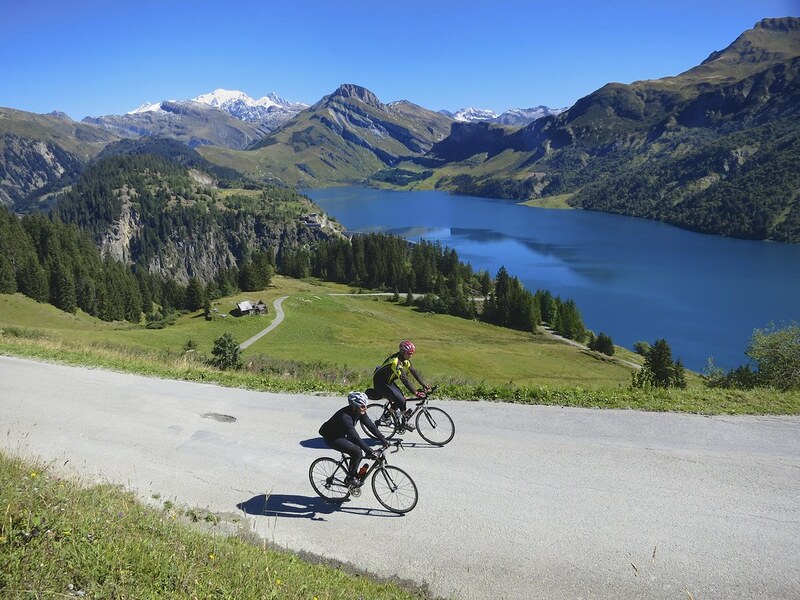 Heading over in July for two weeks (from Oz) with a mate to do some stunning rides in the Dolimites (near Corvara), around Como and then finally at Bourg St Maurice whist catching stages 18 & 19 of the TdF this year. Completely agree about the detours by Crest-Voland and col du Pré. If you like dirt an alternative is Cormet d’Arêches (about 7 km of dirt in total, not too steep, doable on a road bike), very quiet and beautiful. Col des Annes is great, no traffic as it is a dead end, but very tough in the last 7 km (beyond the golf course at les Praz), lots >10%.